Plants contain a huge array of natural chemical compounds and some of them are increasingly seen as ‘natural medicines’able to provide protection against human chronic diseases. The Martin lab are particularly interested in phenolic compounds present in fruit and vegetables and also considered to be the main ‘active ingredients’ of many ‘super foods’ and ‘super drinks’. We have generated purple tomatoes with very high levels of specific phenolic compounds combining the use of transcription factors, biosynthetic genes and RNAi with the availability of natural tomato mutants. Using purple, high-anthocyanin tomatoes we have shown that their inclusion in the diet of cancer-prone mice can extend life-span by 30%, resulting in worldwide recognition that anthocyanins are important health-promoting dietary constituents. They tested the purple tomatoes and compared them with red control fruit, using different in vivo and in vitro models for different human diseases to verify ‘super food’ claims, identify the most promising phenolic compounds and provide recommendation on the specific foods, that can provide the best protection against a specific human disease.  In this way they can provide a scientific foundation for personalised nutrition. The lab can also use their system as a bio-factory for the production of valuable chemicals, food colourants, supplements or active compounds for medicines and cosmetics. The Martin lab recognised that transcriptional control modulates the levels of many natural products in plants, and that transcription factors controlling natural product pathways could be used for effective metabolic engineering in crops. The use of transcription factors to engineer pathways overcomes many of the constraints on metabolic flux and allows enrichment of phytonutrients to nutritionally relevant levels. 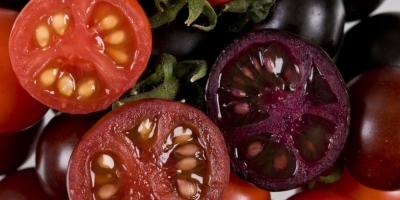 Using two transcription factors known to regulate anthocyanin biosynthesis, they were able to engineer tomatoes producing up to 3 mg purple anthocyanins per gram fresh weight. There is significant evidence that diets which are rich in fruit and vegetables can lower the risk of stroke and heart disease, leading to the well-known “5-a-day” campaigns. It was reported in the US in 2007 that only 24% of adults were eating these five portions a day. However, there is a large segment of the population which has understood this message and actively seeks foods which can offer genuine health benefits. One attractive aspect of cultivating purple tomatoes in North America is that as long as the crop fulfils basic conditions, and is grown in a carefully managed way, it is required only that regulatory authorities are notified. In growing under notification, it is important to ensure that no viable plant matter is allowed to escape. For tomatoes, that means that all seeds need to be destroyed. Given these limitations, purple tomato juice is a very attractive product, because all the seeds are removed and can be treated to ensure that no plants escape. This model gives the lab control of the whole growing cycle and, importantly, control of the seed at all times. With Professor Jonathan Jones, Cathie Martin co-founded a spin-out company, Norfolk Plant Sciences, to cultivate the tomatoes and to produce a juice product, which would have no environmental impact. The company established a memorandum of understanding with a Canadian grower to produce 2,000 litres of purple tomato juice in 2013 and the juice continues to be used for further health studies and to obtain regulatory approval for commercialisation in North America.